Within the STRABAG SE Group, STRABAG Energy Technologies provides the centre of excellence for power plant systems and thermal waste treatment solutions, based in particular on the principles of fluidised bed technology (SETCIA), including flue gas treatment (SETSORP and SETNOx). STRABAG Energy Technologies offers turnkey solutions for power plants worldwide from planning, technical design and construction, including commissioning, through to plant operation. The company is experienced with all current EU and international standards such as ANSI, OSHA and SCC; in addition to the key criterion in any project being the economic viability of the total investment. Economic viability for a strong return on investment or short payback period is of great importance. 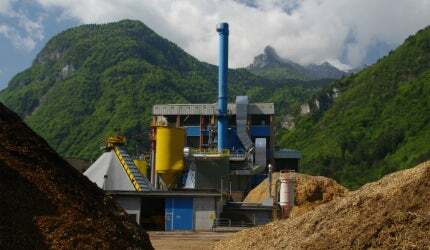 The expertise of STRABAG Energy Technologies provides public and private energy producers, municipal authorities, waste disposal companies and industry (agriculture, food, pulp, wood) with a wide range of options for making more economical use of resources, at the same time as meeting environmental requirements. SETCIA is an innovative bubbling fluidised bed technology for the combustion of a wide range of fuels such as biomass, sewage sludge, biogenic waste, residues from the paper and pulp industry, as well as substitute and special fuels. This technology sets new standards for fuel flexibility, availability, efficiency and emissions. By further developing this combustion technology, STRABAG Energy Technologies has made a significant contribution to the enhanced performance and increased environmental sustainability of fluidised bed systems. SETCIA technology can be used for plants with thermal outputs from 10MW up to more than 120MW, allowing the operator to produce energy economically and with low emissions. We offer customised solutions to the individual requirements of our customers. SETSORP and SETNOx are technologies, which concern flue gas cleaning systems for the efficient removal of pollutants from flue gas using dry absorption and semi-dry absorption processes, catalytic denitrification processes, as well as the SNOx system. Hazardous substances (NOx, SO2, HCl, etc) are substantially reduced through an ideal combination of our systems to provide cutting-edge technologies for environmentally friendly power plants. SETNOx as Selective Catalytic Reduction (SCR) is the most efficient method of reducing these nitrogen oxides. By injecting ammonia into the flue gas flow in the presence of a catalyst, the nitrogen oxides are broken down into atmospheric nitrogen and water. Our expertise and many years’ experience guarantee functional and long-lasting solutions for new plants or retrofits, for all types of combustibles, for high-dust or tail-end applications, as well as for horizontal and vertical heat recovery steam generators. SETSORP: Through multistage cleaning processes, it is possible to reduce the amount of pollutants considerably. By using filters, absorption and adsorption processes, the sulphur dioxide, heavy metals and fly ashes are removed and the quality of the escaping exhaust gas is improved. With the conditioned dry absorption (SETSorp) technology, SET offers an innovative and efficient alternative to conventional methods and ensures compliance with common emission regulations. In addition to the comprehensive product portfolio of STRABAG Energy Technologies, which includes power plant design, engineering and commissioning, an operational team can be provided if required to guarantee optimum plant operation throughout the entire lifecycle. To ensure that power plants remain in good working order, SET customer service does not allow business relationships simply to end once a project is complete, but makes every effort to maintain these relationships throughout the life of the plant. With this document, STRABAG Energy Technologies provides a brief overview on its application in the areas of waste-to-energy and flue gas treatment solutions.